Our organic extra virgin Palm Fruit Oil is pressed from the ripened fruit of the palm tree Elaeis guineensis. It is a rich source of Vitamin E oil and antioxidants, and is stable against heat and oxidation. Palm Fruit Oil is commonly used in food products as a healthier alternative when compared with other higher saturated oils, and is seldom used in cosmetic and bodycare products to help extend the shelf life. Our organic extra virgin palm fruit oil is a rich source of vitamin E oil and antioxidants, and is stable against heat and oxidation. Palm fruit oil is commonly used in food products as a healthier alternative when compared with other higher saturated oils. It will melt at about 80-90 degrees and turn to liquid. This particular oil is unrefined and extra virgin. No chemicals or solvents are used during the extraction of our palm fruit oil. It is popularly used in baking, frying, food mixes, coatings, ice cream and many more. Mountain Rose Herbs will only support palm oil programs which adhere to strict environmental sustainability programs. As is our standard, the harvester and manufacturer of the palm oil we offer adheres to highly detailed sustainable harvesting protocols with oversight from state and third party environmental programs including EcoSocial, and with the assistance of the Roundtable for Sustainable Palm Oil. Elaeis guineensis is a species of palm commonly called African oil palm or macaw-fat. It is the principal source of palm oil. It is native to west and southwest Africa, specifically the area between Angola and the Gambia; the species nameguineensis refers to the name for the area, Guinea, and not the modern country which now bears that name. The species is also now naturalised in Madagascar, Sri Lanka, Malaysia, Sumatra, Central America, the West Indies and several islands in the Indian and Pacific Oceans. The closely related American oil palm Elaeis oleifera and a more distantly related palm, Attalea maripa, are also used to produce palm oil. About ELAEIS GUINEENSIS (AFRICAN OIL PALM) OIL: Oil obtained from African oil palm, Elaeis guineensis. Palmarosa: Lemony-herbaceous, cooling and moisturizing, palmarosa regulates skin moisture and sebum secretion and is therefore indicated for both dry and oily skin. As a cell regenerator, palmarosa essential oil is useful against wrinkles and diminishes scar tissue in wounds. This herb is native to India and Pakistan and has been used since antiquity. Palmarosa oil is antiseptic, moisturizes the skin, helps to stimulate cell regeneration and is valuable in use for acne, athlete's foot, chapped skin, dehydration, dry skin, dermatitis, wrinkles, minor skin infections, scarring and sore feet. Oil of palmarosa is described as a sweet, rosy floral top-middle-base note with grasslike and honey undertones. The emotional benefits of this soothing, calming oil include ease of: anger as well as emotional and mental fatigue. 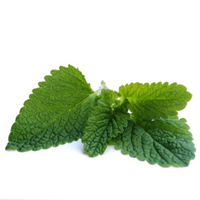 The active constituents of peppermint include: menthol, terpenes, caffeic acid and flavonoids. 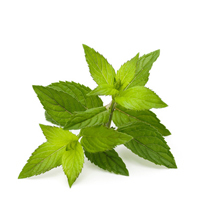 Peppermint is obtained from the dried leaves of the peppermint plant. Its properties for skin include: antimicrobial, anti-irritant, antiseptic, antiviral, astringent, cleansing, cooling, decongestant, refreshing, stimulating and tonic. Peppermint is best for the following skin types: blemished, dry, normal-oily and oily skin. It is a wonderful addition to baths, soaps, facial steams, masks, toners, aftershaves and as a stimulating shampoo, conditioner and hair rinse. An ideal treatment for aches and pains, it even helps with the itch of chicken pox. Phenoxyethanol is chemical preservative, a glycol ether often used in dermatological products such as skin creams and sunscreen. It is a colorless oily liquid. It is a bactericide (usually used in conjunction with quaternary ammonium compounds), often used in place of sodium azide in biological buffers because phenoxyethanol is less toxic and non-reactive with copper and lead. It is used in many applications such as cosmetics, vaccines and pharmaceuticals as a preservative. This ingredient is not recommended by Be Yourself Beautiful and should be used under caution. PAULA'S CHOICE says: Common synthetic preservative that is considered one of the less irritating to use in cosmetic formulations. It does not release formaldehyde. 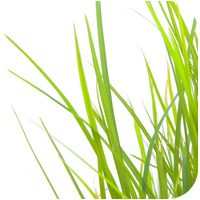 Phenoxyethanol is approved for worldwide use in all types of water-based cosmetics. 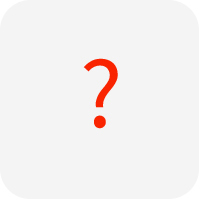 The safety of phenoxyethanol has been assessed by the Cosmetic Ingredient Review (CIR) Expert Panel. This group evaluated the scientific data and concluded that phenoxyethanol was safe as a cosmetic ingredient. Interestingly, although phenoxyethanol used in skin care is almost always synthetic, this chemical occurs naturally in green tea. Further studies and accumulated safety data have shown that phenoxyethanol was practically nontoxic via oral and dermal (skin) administration. In a study examining oral intake, increased weights of some organs were noted when high doses of phenoxyethanol were swallowed. The doses in this study were considered to be much higher than those resulting from use of cosmetics and personal care products containing phenoxyethanol. In short, phenoxyethanol is considered a safe and effective preservative when used in amouts approved for cosmetic products. A synthetic ether alcohol preservative. Causes contact dermatitis. It is also used as a fixative for perfumes, an insect repellent, a topical antiseptic, a solvent for cellulose acetate, some dyes, inks, and resins, in preservatives, pharmaceuticals, and in organic synthesis. It is moderately soluble in water. It is used as an anesthetic in the aquaculture of some fish. The activity of the preservative phenoxyethanol was effective in inactivating challenge doses of gram-negative and gram-positive microorganisms, as well as a yeast. The Food and Drug Administration has warned that the chemical is toxic to infants via ingestion, and "can depress the central nervous system and may cause vomiting and diarrhea." Combined with Chlorphenesin, these two chemicals can cause respiratory depression in infants. Since these chemicals are often present in cosmetics and lotions applied to the hands and are easily ingested, caution should be exercised. German research in 1999, concluded that it had neurotoxin potential. This plantain, native to Europe, is not to be confused with the starchy banana. Plantain leaves are valued for their anti-inflammatory, antimicrobial, antiseptic, astringent, demulcent, mucilaginous and refrigerant properties. Its active constituents include: mucilage, flavonoids, phenolcarboxylic acids and saponin. Plantain helps to soothe inflammation and irritated tissues. It is a superb herb used in salves to treat wounds and damaged skin. It can be used as a poultice and/or salve for boils, bee stings and other insect bites, hemorrhoids and poison ivy. Plantain can also be boiled in milk, strained, cooled and applied to sunburn. Punica Grantum is a fruit-bearing deciduous shrub or small tree. 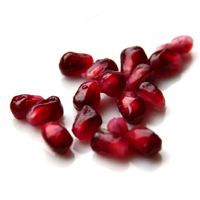 The extract that comes from the Pomegranate carries potent antioxidant properties. It is thought to beautify and improve skin health by neutralizing skin-damaging oxygen molecules created by pollution and ultraviolet rays. The essential oil is classified as an emollient, skin conditioner, skin protecter and surfactant. Pomegranate, which is rich in ellagic acid and ellagitannins, has properties that prevent collagen destruction in human skin cells, thus maintaining skin structure and slowing wrinkle formation. These interventions are also said to diminish the cutaneous inflammation associated with chronic UV exposure that leads to photo-aging. Best known for its antioxidant capabilities, pomegranate seed oil is one of the most rich and nutritious oils you can put on your skin. 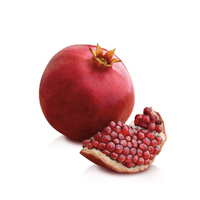 High in conjugated fatty acids (punicic and ellagic), pomegranate seed oil is believed to improve skin elasticity and heal and protect damaged skin. Its antioxidant properties dispose of free radicals which age skin. A study by the University of Michigan Medical school (published in the Feb. 2006 journal of Ethnopharmacology) showed that this oil stimulates keratinocyte proliferation thereby promoting regeneration and strengthening of the epidermis. Punica Grantum is a fruit-bearing deciduous shrub or small tree. It is thought to beautify and improve skin health by neutralizing skin-damaging oxygen molecules created by pollution and ultraviolet rays. The essential oil is classified as an emollient, skin conditioner, skin protecter and surfactant. Pomegranate, which is rich in ellagic acid and ellagitannins, has properties that prevent collagen destruction in human skin cells, thus maintaining skin structure and slowing wrinkle formation. The interventions are also said to diminish the cutaneous inflammation associated with chronic UV exposure that leads to photo-aging. more on pomegranate . . .
Potassium Cocoate is a potassium salt that originates from the fatty acids present in coconut oil. This ingredient acts as an emulsifier and surfactant in skin care products, which helps to loosen and remove dirt and grease from skin when mixed with water. 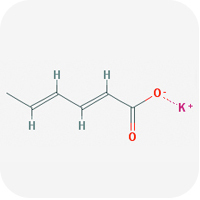 Potassium Olivate Potassium Olivate is the oil obtained from the ripe fruit of Olea europaea. This olive oil is a derivative from the soap production process called saponification, involving the hydrolyzation of Olive Oil in the presence of potassium hyrdoxide. It serves as a soap-like emulsifier, and it gently cleanses and nourishes the skin. Potassium Sorbate is one of the safest and most commonly used preservatives today. It is a mild preservative used in our lotions and creams as a paraben alternative to prevent or slow the growth of microorganisms and protect our products from spoiling. Developed from Sorbic Acid, which is naturally found in the berries of the mountain ash tree, Potassium Sorbate is effective against the growth of molds, fungi and yeast. A culinary specialty of Styria, Austria, pumpkin seed oil is made of the roasted skinless seeds of a special type of pumpkin, the “Styrian Oil Pumpkin”. The seeds of this pumpkin are a power food, rich in many nutrients including: vitamins A, B1, B2, B6, C, D, E and K, calcium, magnesium, selenium, zinc, other minerals, and the precious omegas: Omega 3 and Omega 6, also known as essential fatty acids. Pumpkin seed oil is one of the top three nutritional oils (hemp seed oil, flax seed oil and pumpkin seed oil) that provide the highest essential fatty acids required for healthy mind/body functioning. Pumpkin seed oil offers a practical and tasty way of supplying one's diet with the good fats for smooth skin, increased energy, maintenance and improvement of sexual health and optimum brain function. The oil also contains over 60% unsaturated fatty acid and is rich in vegetable proteins, carbohydrates, phytosterols and cucurbitin (named for the plant). All benefits listed for consumption are effective in topical application to a lesser extent.